Adare Taxi Service provides a Local Taxi service to the community as well as catering for the visitor from further afield. Excursions to the many local attractions and Tours to the wonderful sights of the Atlantic Way are also catered for, with some suggestions included in the website. We provide a luxurious Wedding Car service for the bride on her special day, with years of experience of the local churches, hotels and the all important photographic venues. For your convenience we provide an Airport Pick-up service to make sure you get to your destination quickly and without any fuss. We will track your flight and be there at arrivals to greet you. Transit for Airport Departure can also be arranged for peace of mind with local knowledge of transit times. Contact us now by phone at 00353 879911675 or by email if you are planning for a trip in the near future. 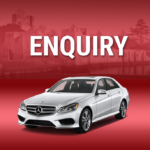 Our enquiry service will provide you with a quote for whichever service you are considering.